Get that smooth, delicious cup of cold brew without the long lines. 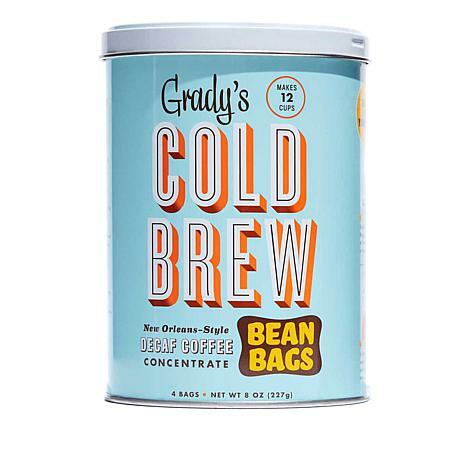 These bean bags are the "Brew It Yourself" solution that can be soaked overnight in water and then easily disposed of the next day — no mess, no special equipment needed. Made with a unique blend of carefully sourced coffee beans, chicory and spices, it's a daily perk-up that gives you the freedom to skip the drive-through. This cold brew tastes amazing! I have made cold brew with multiple coffee brands, and this one is the best tasting. Also, these bags did not break. 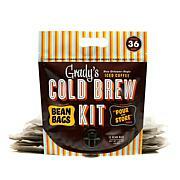 Usually when making cold brew the bean bags break. I highly encourage trying this! Make munching more fun with these mini bags of microwave popcorn that are perfect for poolside, movie night and lunchtime snacks. What You Get (20) 1.2 oz. Bags of microwave extra butter popcorn Good To Know Contains milk.